Observation - Unidentified plant - UK and Ireland. 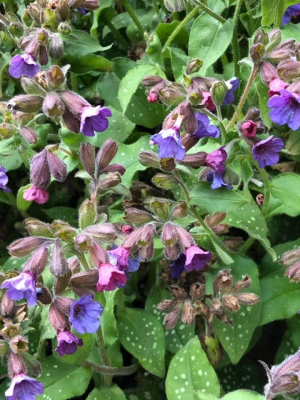 Description: Pale green speckled leaves, with purple bell shaped cluster of flowers on upright stems. Pale green speckled leaves, with purple bell shaped cluster of flowers on upright stems.